Though you might think your work is finally over after you harvest your weed, actually the opposite is true. 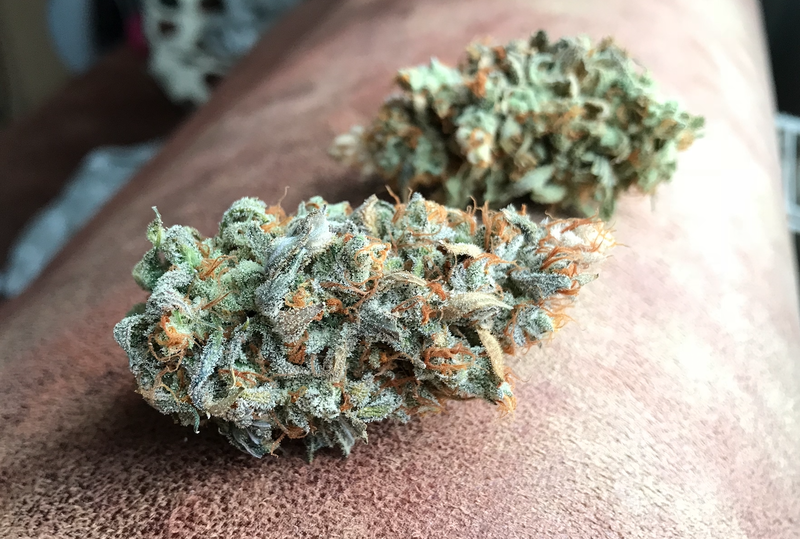 After your cannabis plants have fully ripened and been cut off – or harvested – it is time to dry your harvest. Because let’s be honest, smoking wet weed probably won’t work too well… Smoking too dry weed isn’t all that great either though. That is why the after-care, the drying and curing process, is so damn important. If the little stem ‘snaps’ when you pull on a bud, the weed is dry enough to be cured. To dry cannabis plants, most growers use the tent or cabinet they grew the weed in. After cutting away some big fan leaves the plants are hung in a dark, cool place, with their bottom-side up for 7-14 days. Some growers trim their weed before they hang it up to dry, speeding up the drying process. Though most home-cultivators choose to trim their weed after it has been dried. A slow drying process usually results in a better tasting end-product, they say. Whatever you do, make sure to have some airflow and -circulation where you dry the plants. The last thing you need is the plants to get moldy in these last weeks of the growing-process. To decide if a bud can be deemed ‘dry enough’, try pulling one off a branch. If the little stem it is attached to ‘snaps’, the weed is dry enough for the next step. Does it still bend instead? Then you should definitely leave it up to dry a bit longer. When the weed is dried properly, it will have only a slight smell and taste to it. Nothing in comparison to the strong odor experienced during the first days after the harvest or during the trim. Where some would take this loss of smell for granted and start smoking their homegrown from this stage on; others go one step further to preserve the aroma of their carefully grown cannabis. This next step is called ‘curing’. The curing process can be compared to the aging of cheese and wine. Curing can be compared to the aging process of products like wine and cheese. Though instead of a fermentation process, with curing weed the main focus is on humidity. Because even-though most moisture has evaporated and left the cannabis during the drying of the plants, there’s still some moisture left in the weed. By keeping your weed in air-sealed glass jars, you avoid that the flower dries out too fast and terpenes (aromatic components in the weed) evaporate. Leaving you with a musky, funky smelling piece of dry grass which nobody will enjoy. 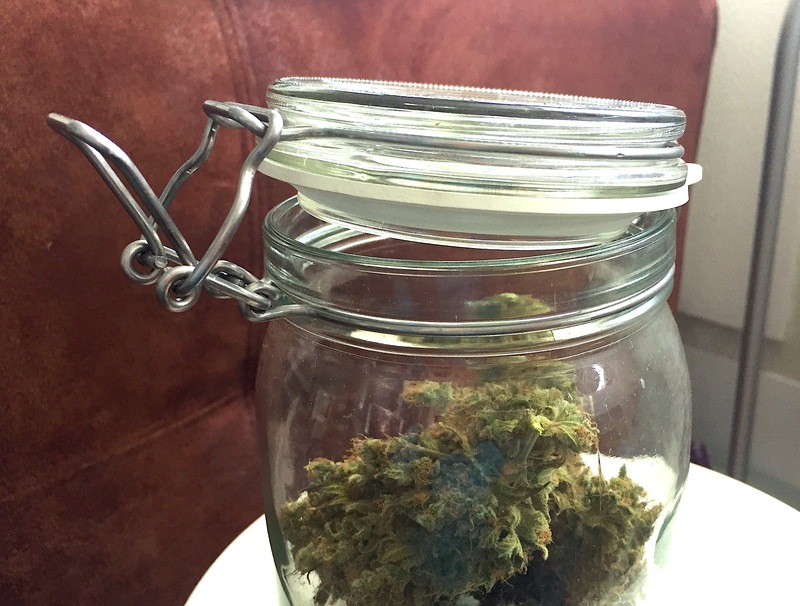 Simply storing your weed in said jars isn’t enough to say you’ve ‘cured’ it to a perfect level. To do so, there’s still some work to be done in the first days after you’ve dried the plants and have put them in air-sealed jars. To begin with, only fill 2/3rds of the jars (or other air-sealed containers) you’re going to cure the bud in. This ensures there’s still some air left in the jar, and it won’t get too humid inside. 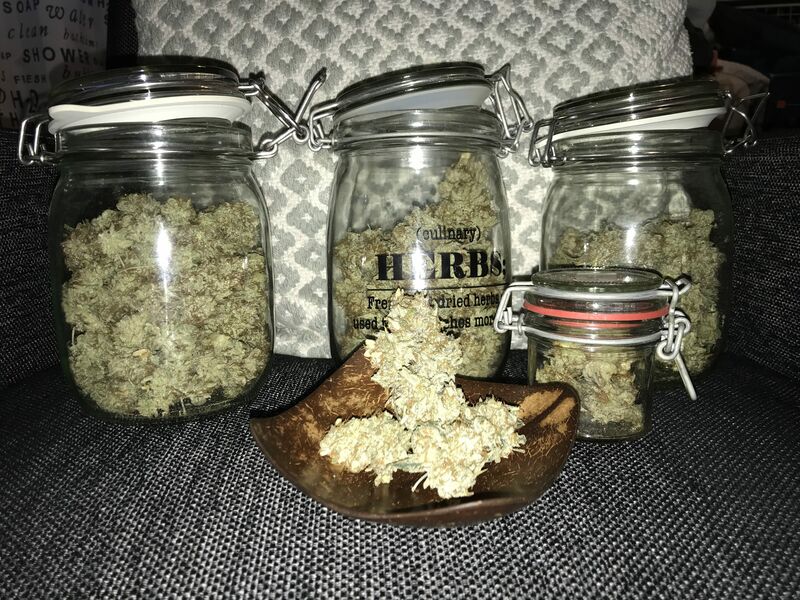 During the first ten days, it is advised to ‘burp’ the jars (or other container) you cure the weed in, to let an excess of evaporated moisture out. Growers usually start by burping the jars 10 minutes on the first day. While slowly working it down by a minute each day, to only burping the jar 1 minute on the last day. 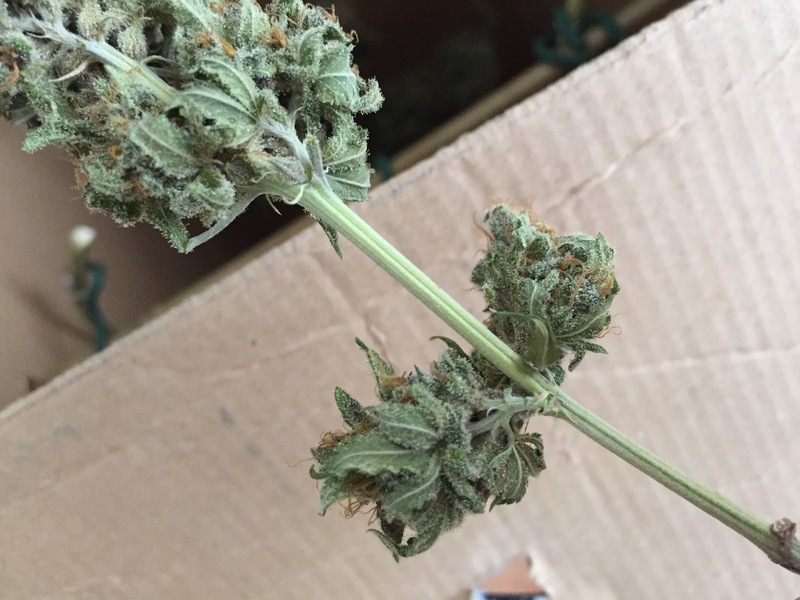 While burping the jars, you can also take some time to check the buds on mold and other irregularities. If you find any, take moldy buds out, so they can’t contaminate the rest and screw up an entire harvest. Not only is the curing process important to preserve the cannabis’ aroma, it can also increase the weeds taste. Yes, curing weed can give the cannabis more taste than it would have had if it wasn’t cured. This has every bit to do with the sugars and chlorophyll (the plants green colour) present in the weed. These components, in contrast to terpenes, do not contribute to a good taste of your flower. As a matter of fact, these elements can make even well-flushed weed taste harsh. Over time, the sugars and chlorophyll in the weed gradually break down. That’s why old, dried out cannabis isn’t green anymore: all chlorophyll, giving the bud it’s colour, has been broken down. If this process happens to fast, not only will sugars and chlorophyll disappear from the flower. Terpenes will as well, taking all flavor with them. The curing process ensures the sugars and chlorophyll in the flower are broken down slowly, without affecting the terpenes. Providing you with a cleaner, better tasting and smooth smoke off of your well-cured bud.